The Mrs. H.D. 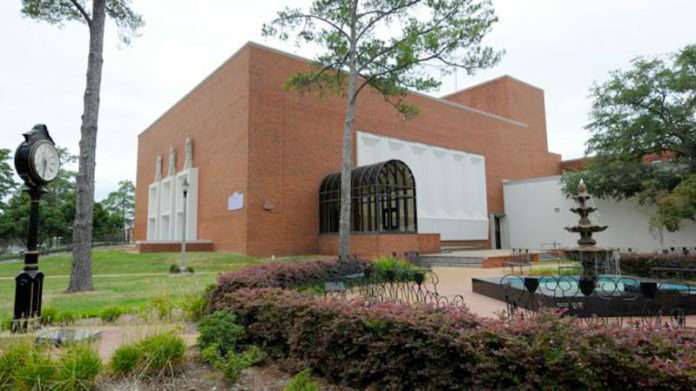 Dear Sr. and Alice E. Dear School of Creative and Performing Arts at Northwestern State University will hold its annual Faculty Showcase Tuesday, Sept. 19 at 7:30 p.m. in Magale Recital Hall. Admission is free and open to the public. The annual Faculty Art Exhibition will be on display at 6:30 p.m. in the Orville Hanchey Gallery with work by Corbin Covher, Brooks Defee, Matthew DeFord, Clyde Downs, Mirla Enriquez, Leslie Gruesbeck, L. Collier Hyams, Phyllis Lear, Josie Rodriguez and Michael Yankowski. The showcase will feature Dennette McDermott on baroque flute, Douglas Bakenhus on baroque bassoon, Francis Yang on harpsichord, Paul Forsyth on saxophone, sopranos Terrie Sanders, D’nissa Hester and Marcy McKee and Chialing Hsieh and Greg Handel on piano. Also featured are Oliver Molina on snare drum, dancing by Cher Anabo, Andrej Kurti and Sofiko Tchetchelashvili on violin, Masahito Kuroda on euphonium, Malena McLaren on clarinet, Kelsey Wright on alto flute, Paul Christopher on cello, baritone Corey Trahan and tenor Michael Rorex. The program will include “Sonata in G major for Flute and Continue JCZ N12” by Jri Cart and edited by McDermott featuring McDermott, Bakenhus and Yang, “Caprice en forme de valse” by Paul Bonneau featuring Forsyth, “The Kitchen” from “Old Maid and the Thief” featuring Sanders and Hsieh and “Buttonwood” with Molina and Anabo. Also to be performed are “Chi il bel sogno di Doretta” from “La Rondine” by Giacomo Puccini featuring Hester and Hsieh, “Cocek/Bumblebee” by Rimsky-Korsakov with Kurti and Kuroda, “Sonata for Clarinet and Piano” by Nino Rota featuring McLaren and Hsieh, “Sintra” by Ursula Mamlok with Wright and Christopher and “Song to the Moon” from “Rusalka” featuring McKee and Hsieh. The program will also include “Sonata for Violin and Piano in A major” by Cesar Franck performed by Tchetchelashvili and Hsieh, “It’s Hard to Speak My Heart” from “Parade” featuring Trahan and Handel, “Caprice No. 24 for Solo Violin” by Niccolo Paganini featuring Kurti and “Dei miei Bollenti Spiriti” from Verdi’s “La Traviata” featuring Rorex and Handel. A reception will be held after the showcase to honor the artists.